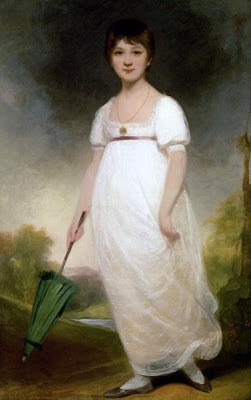 Jane Austen was born on December 16, 1775 into an English family. She was the daughter of George Austen, a rector for Anglican parishes. She had six brothers and one sister, Cassandra. For the most part, Jane and Cassandra were educated together, going to the same schools and receiving the same education. Unlike most families, though, Jane and Cassandra were encouraged to read from her father's library and write their own pieces of writing. As early as 1787, Austen began to write stories for her family's amusement, some of which has been compiled into the book Juvenilia. For the most part, these works were comedic and satirical. Austen continued to live with her parents in adulthood. She continued to experiment in writing, creating a short play in 1793 and Lady Susan, her first real novel by 1795. After finishing Lady Susan, Austen began to write the novel Elinor and Marianne, whose first draft was finished around the year 1796. When Austen was twenty, she met Tom Lefroy, the nephew of Austen's neighbors. Over the several months that they were together, Austen and Lefroy grew very close, but Lefroy's family intervened in the relationship because neither Lefroy nor Austen had any money. In 1796, Austen began working on her second novel, First Impressions, finishing the initial draft in 1797. Jane's father, George Austen, attempted to have First Impressions published in London, but the novel was rejected. In 1798, Austen began writing the novel Susan, which was a satire on Gothic novels. In 1803, Jane's brother, Henry Austen, was able to sell the copyright for Susan to a London publisher for £10, though the publisher never printed the novel. In December of 1800, the Austens moved to Bath. The period of time while Austen was in Bath is marked by a lack of writing by Austen. For some reason, Austen did little writing other than revising her previously written novels. In 1802, Austen received an offer of marriage from Harris Bigg-Wither, which Austen initially accepted, but withdrew her acceptance by the following morning. In 1804, Austen began writing The Watsons, which was the only book she wrote in Bath, but abandoned this novel shortly after her father died in 1805, possibly because the family in her book mirrored her actual family too closely. In 1806, Jane Austen moved in with her brother Frank and his wife in Southampton, but soon left to live in Chawton with her mother and sister. In October 1811, Jane Austen was able to get Elinor and Marianne published under the name Sense and Sensibility. The book received good reviews and the edition sold out in 1813. In January 1813, First Impressions was also published as Pride and Prejudice. This book was an immediate success and by October of that year, a second edition had come out. In 1814, Mansfield Park, a revision of Susan, came out, and though it did not get many great reviews, the public loved the book. The success of her books gave Austen and her mother and sister financial security. Austen continued to write new books, publishing Emma in late-1815 and finishing the first of The Elliots by 1816. Unfortunately, Austen became unwell in early 1816, though she ignored her illness. By mid-1816, she had serious symptoms and in July of 1817, Jane Austen had died. In December of 1817, Jane's siblings, Cassandra and Henry, arranged for Persuasion to be published. This book was also a success. Austen is on our list because she made some of the most enduring stories of all time. She was popular when she was alive and she is still popular now. My father has also made sure that movies based on her books take up half the space of our DVD collection, so I had to mention her.